In the past, the Knave and the Queen of Heart’s knights was tasked to capture a murderer who eventually turned out to be a trustful friend. Meanwhile, Jafar gave Will a chance to see Anastasia alive again, causing him to go against his friends. Will Alice and Cyrus let Jafar win in order to bring Anastasia back to life? What a let down for a penultimate episode. Although there were some great scenes towards the end, it just quite wasn’t in the same intensity level as last week. It feels like something is missing, like there were still a lot of questions that needed to be answered. 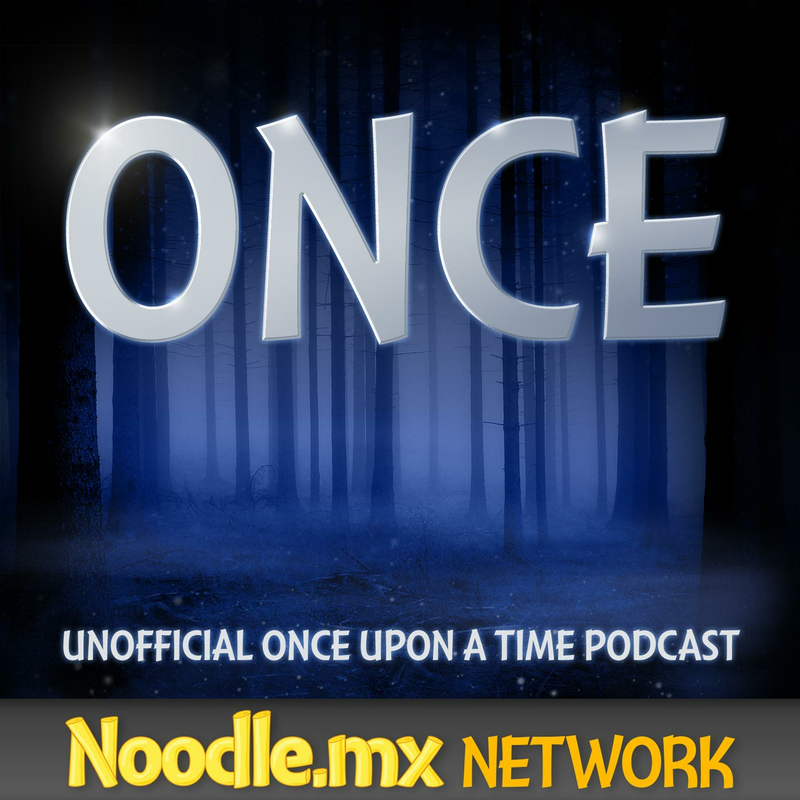 One piece of sad news before going on, Once Upon a Time in Wonderland has been cancelled for another season. From the start, it was just supposed to be a mid-season show while Once Upon a Time is on hiatus, and while it didn’t work as high as Once Upon a Time’s ratings, it would have been nice to see Wonderland for another season. Then again, it was still great that they got 13 episodes for a full season. In the past, the Queen of Hearts asked her knights to hunt for a monster responsible for killing plenty of men, women and children. Will’s attitude, however, seems the same. Moreover, the Queen of Heart’s knights stay true to the original story; Will referring to himself as more like a jack of all trades. Although Alice grew to be smart, she wasn’t that experienced yet when she trapped Will in the net. Moreover, Alice said that she just tried to pick a weeping willow from the Queen of Hearts’ garden because she needs proof to show his father that Wonderland really do exist. The net conversation also was very reminiscent of Snow and Charming in Once Upon a Time, only it was Charming who trapped Snow. This episode also showed a very different interpretation of the idea of controlling someone by possessing their heart. In Once Upon a Time, both Cora and Regina whispered to the person’s heart as if it was a microphone. It was cool to see Cora’s vault again, and glad that it looks just like the same. 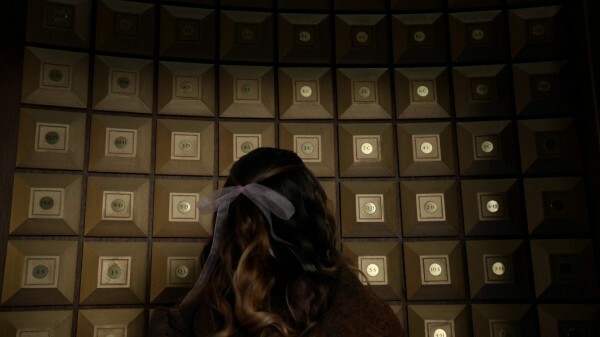 Was Regina’s father, Henry, still in the vault at the time Alice came to retrieve the Knave’s heart? Alice’s counting seem new, but the guards’ routine doesn’t seem very secure. It was very James Bond-ish when they were waiting for the camera to pan into another direction so they could pass through undetected. 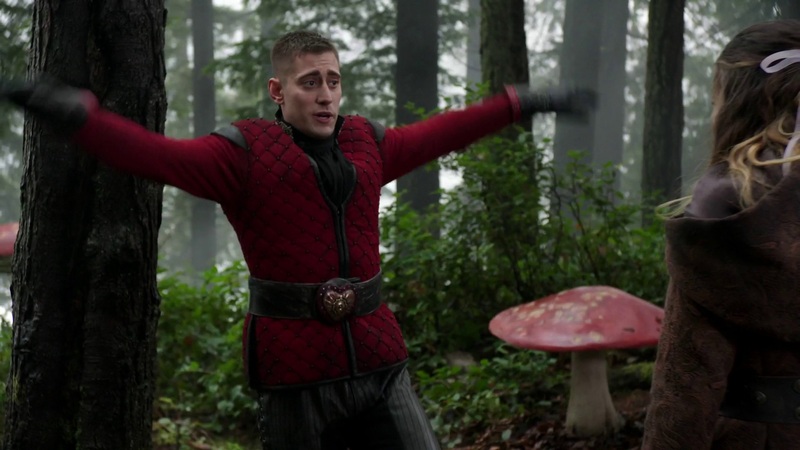 When Alice brought the Knave’s heart, it was cute when Alice realized she possessed his heart and have full control of him now, asking him to do silly things such as flapping his arms and raising his left foot. When Alice and Will was at the tavern, Will told her, “You’re fighting to hold onto your father, the only family you’ve got left.” Does this mean that there’s a chance for Alice to be reunited with her father in the end? Will also mentioned his sister, Penelope was stubborn and fell through the ice. Is she significant to the last episode? One of the members in the forum thought that Penelope reminded them of Jack Frost in Rise of the Guardians, who was a little bit lost in his identities. They probably need to cut a lot in this episode. Really cool to see come in full circle why Alice was running (in the Pilot) when she bid Will goodbye. Will also told her that happy ending is just around the corner, and just the same, Cyrus was literally right around the corner. In the episode Hat Trick, Cora had the Mad Hatter make a hat that allows one to travel between realms. Perhaps Cora knew about the White Rabbit, forced him to take her back to the Enchanted Forest? In addition, the walls still eat people just as we saw from Once Upon a Time. Alice was also like how Snow was in Once Upon a Time, who were both blamed for a crime they didn’t commit. With Will in prison at the beginning, Daniel was proven wrong but Erin was right; the Red Queen was dead, but it makes total sense. However, cool to see Anastasia had the same glass coffin as Snow White in Once Upon a Time, although hers was definitely bigger than Snow’s. Jafar seems to reference his father trying to kill him as losing someone he loved. Looking to the way it was, Jafar admired his father when he was young and seem to still want his approval until now, even willing to doing anything to get that approval. On the other hand, it made the most sense, especially with the theme of redemption when the Sultan told Jafar to show some mercy towards Will. Will the Sultan have to sacrifice himself to stop Jafar for ultimate redemption? Going back to Alice and Cyrus at the tent, Will came back to their tent. Will and Alice’s interaction was very endearing; she clearly understood what he is going through. However, it seemed like they ran out of plan when they decided to let Jafar win. 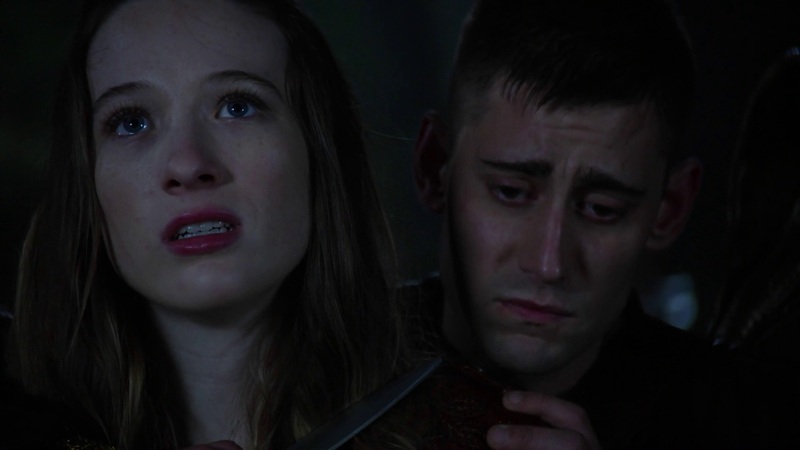 Was it still true that Alice will die too if Will gets killed? As they then decide to go try and do what they need to do, the Jabberwocky said that Jafar’s fears smells like pine needles in the snow. Jafar said that she was pinned to the ceiling for a thousand years. Does that mean that she was pinned to the ceiling way before Alice got to Wonderland? 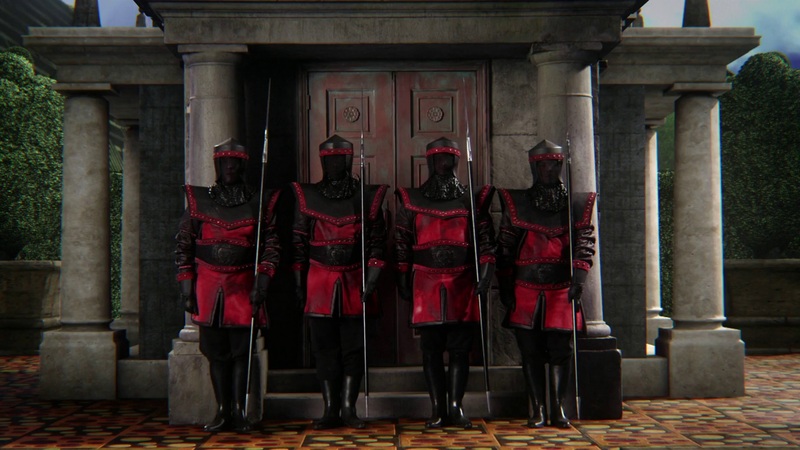 And if the Vorpel sword was that powerful then could that mean the soldiers weren’t really necessary? This episode start us to pity the Jabberwocky, what with how Jafar treated her in the episode. It was a bit disappointing that Will stole the staff from his friend, but what he said to Alice about “You think your love story is the only one worth fighting for” was a little inaccurate. It was just funny that there were high and low roads literally, and as usual, Alice took the high road. Back in Jafar’s castle, Jafar let out the other genies not by rubbing their bottles, but seemingly by magic. As the two brothers were let out, they seem to know that they were side by side the whole time. How would they have known if they’ve been in the bottles the whole time? As Alice and Will were drying off from slipping in the cliff, it was such a let down that they didn’t show a rescue scene but instead, the aftermath with them drying off in the fire. But how did Will rescue her? Didn’t he know how to swim? As they met back with Cyrus and continue their journey, the three met the Jabberwocky, where she said something interesting — “Nobody’s born a monster. We’re made. The product of a cruel world filled with cruel people.” — a simple tie-in from the episode 16 “Heart of Darkness” in Once Upon a Time when Rumplestiltskin said “Evil isn’t born, it’s made, dearie.” The Jabberwocky told them that she simply wants what anybody wants: freedom. This has us thinking whether the Jabberwocky’s intentions to help them was genuine or not. Is she really starting to side with Alice and Will or did Jafar just sent her so they can take them down easier? Moreover, how did she know about Jafar’s staff being Amara? Was the Jabberwocky more civil with the three of them simply because they are more fearless now? After Alice freed Jafar’s father from prison, how will the Sultan help defeat his son? He said that he will make sure Jafar never hurts anyone again, what is he willing to do to stop Jafar? Alice and Will’s saying goodbye, however, before they part, was a bit heartbreaking it will be the last they will see each other. When the Jabberwocky didn’t seem to get what she hopes to give her when she brought Cyrus in, her reaction seemed pain. Good job from Naveen Andrews with the very slightly suspicious looking from one to the other, though, but how will the Jabberwocky work with the good guys? Has Jafar starting to sense that she’s switching allegiance? It was pretty clever how they showed Amara appear again, but then it was clear that Amara was really just after the bottles and not really breaking the laws of magic. How did she turn back from being a staff that fast? If the Jabberwocky was just a human before as she implied, perhaps she has some kind of magic what with her ability of preying on a person’s greatest fears? 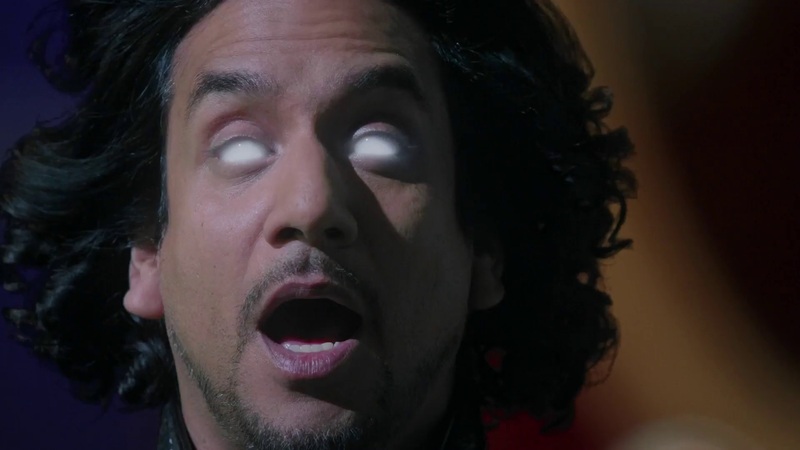 And did Amara just let Jafar keep her in a staff form and play along all those years so that she could stay close to him until he got the genies when she could have broken out all along? The mirror shard scene was very well done, and in the scene, Amara told Jafar that “This fight only ends when one of us dies.” This reminded us very much of the prophecy between Harry Potter and Lord Voldermort, “For neither can live while the other survives.” The mirror shard scene also reminded us of the scene in Harry Potter and the Order of the Phoenix during Lord Voldemort and Professor Dumbledore’s fight scene. Will Cyrus actually die? Alice and Cyrus have their hearts entwined, so what will happen to Alice if Cyrus dies? 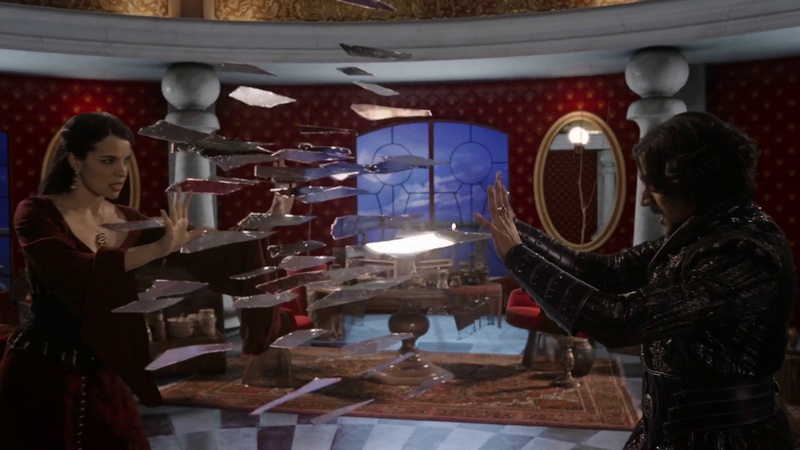 It was a great cinematography showing Alice feeling Cyrus’s being hurt at the same time Cyrus was hit by the shard of glass. What’s with Jafar’s glowing eyes? Can they really trust the Jabberwocky? Now that Jafar got what he always wanted, how will they stop him? How can Amara and the Sultan help them defeat Jafar? Can they bring Anastasia back to life? Other guest stars include Brian George as Old Prisoner, Benjamin Wilkinson as White Knight, Toby Levins as Sentry, Christian Bower as Jafar’s Guard, Leah Gibson as Nyx, Dejan Loyola as Rafi, Shaun Smyth as Edwin, Heather Doerksen as Sarah, Ben Cotton as Tweedle #2, Kylie Rogers as Millie and Amelia Wilkinson as Alice’s Daughter.